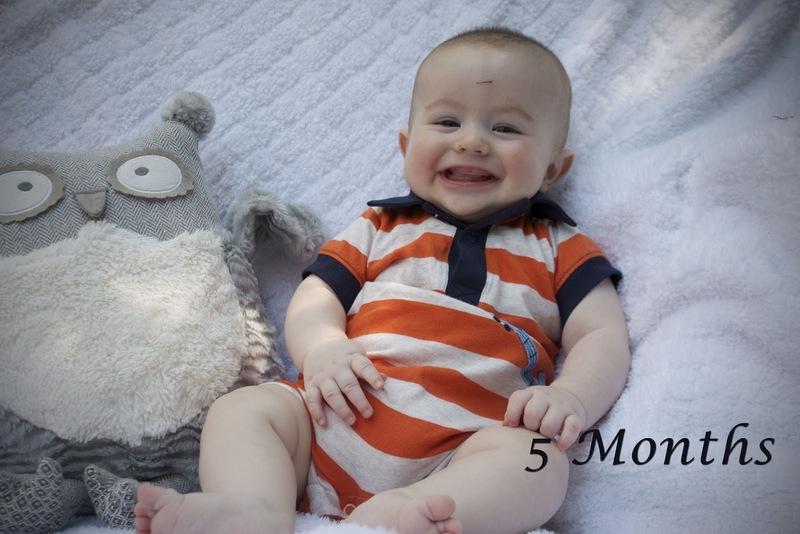 Shepherd Karrick is 5 months! Everyday we see him change and add new things that he can do! The latest thing he started doing was grabbing his toes!! His smile is all gums and so sweet we all love it when he flashes it our way! Tickling him gets a great hearty laugh and sometimes a deep sigh cause he just isn't into it. We started eating solids, well pureed food, like apples and sweet potatoes and is doing great! Started crying before nap time now. Which i think is due to his socialness not wanting to leave us and the fun. Hoping that is a phase. So thankful for our lil man and all the joy he brings! Its been fun watching him learn and grow!